Trapp and Company was so excited to have Lindsay Dress, blogger of Sadie+Stella, blog about the store! To tell you a little about Lindsay, I’ll start off by saying she is one of the cutest people I have ever met! She is super stylish, has a really cute Tory Burch purse, her favorite flower is protea and she loves Chipotle. 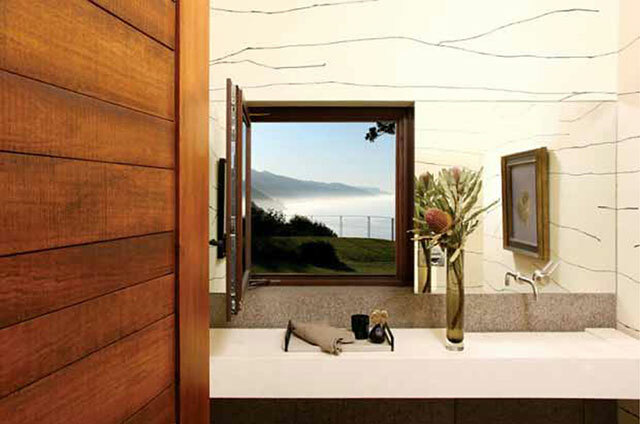 Her blog features unique interior design, cuisine, entertaining, fashion and lifestyle. She strives to bridge the gap between home design and fashion. 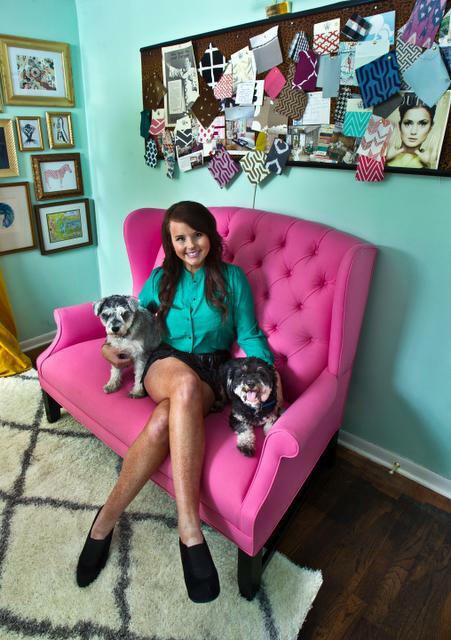 Her passion for interior design and fashion is so apparent with each and every blog post. With that said, it was a true honor to have somebody as talented as Lindsay reviewing our store and products. So let’s take a look at some of her favorites things in the store! 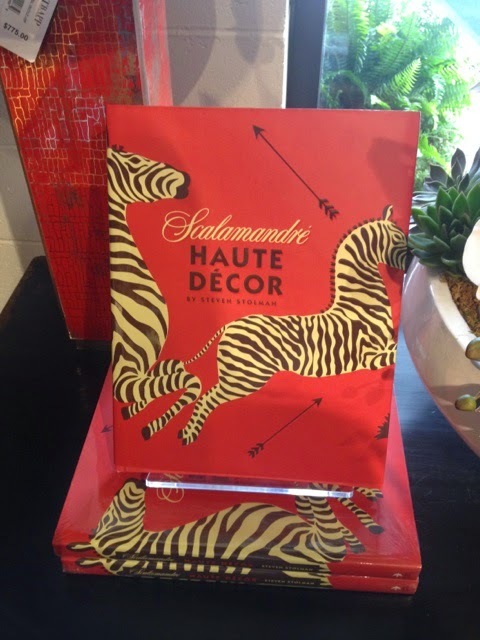 Lindsay took home with her a Scalamandre Haute Decor Coffee Table book. 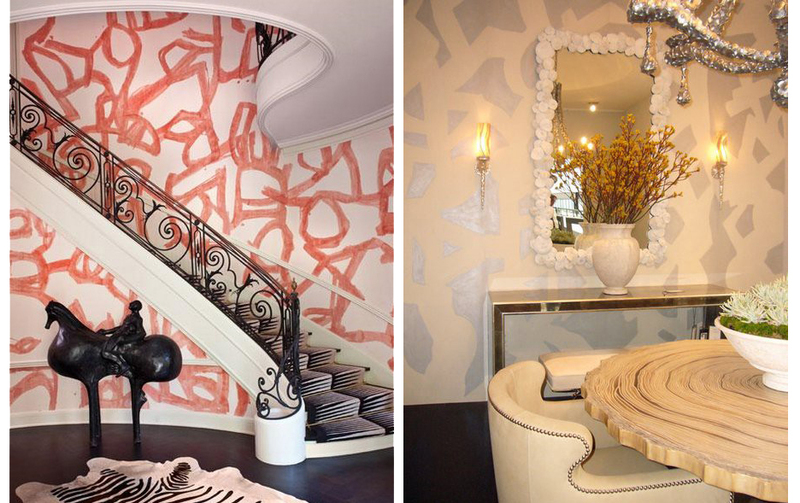 For those of you who aren’t diehard interior designers, you might not know who Scalamandre is. Let me enlighten you, Franco Scalamandre established Scalamandre Silks in 1929 and since then Scalamandre has become synonymous with the manufacture of the finest quality fabrics, trims, wallcovering and furnishings in America. One of Scalamandre’s most notable achievements was during the Kennedy administration. It was then that Scalamandre received one of its highest profile commissions for the White House. Scalamandre was engaged to reproduce early 19th century textiles for the Blue Room’s drapery and the Red Room’s walls, drapery and upholstery. In addition, Scalamandre’s fabrics were used for the White House’s residential interiors. Under every administration since Herbert Hoover, refurbishments during the Nixon, Carter, Reagan, Clinton and both Bush administrations also use stock and custom woven textiles from Scalamandre. Okay, now let’s get back to Lindsay’s favorites. 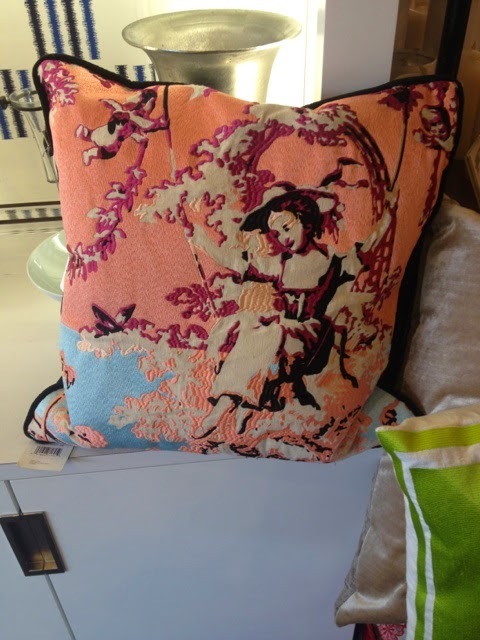 While shopping with Lindsay, she mentioned her love for oriental inspired designs. This throw pillow is one of her favorites from the many varieties we have in store. 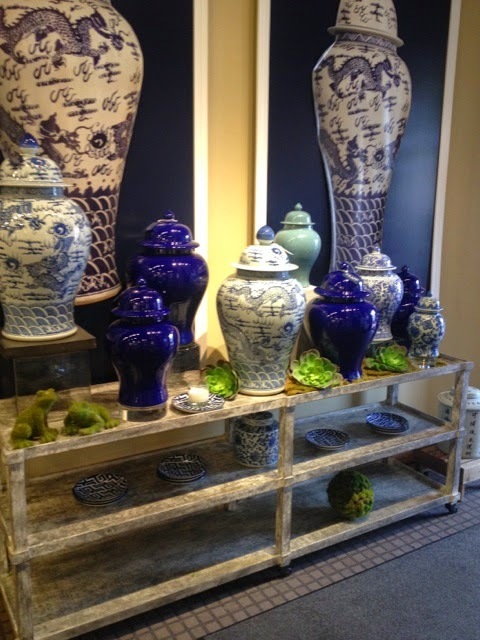 Another item that she liked was our variety of blue and white ginger jars. Though ginger jars were initially used to store and transport spices, hence their name, the containers (which usually lack handles) have been used chiefly as decorative objects since the 19th century. These jar are the perfect touch to enhance your home decor. 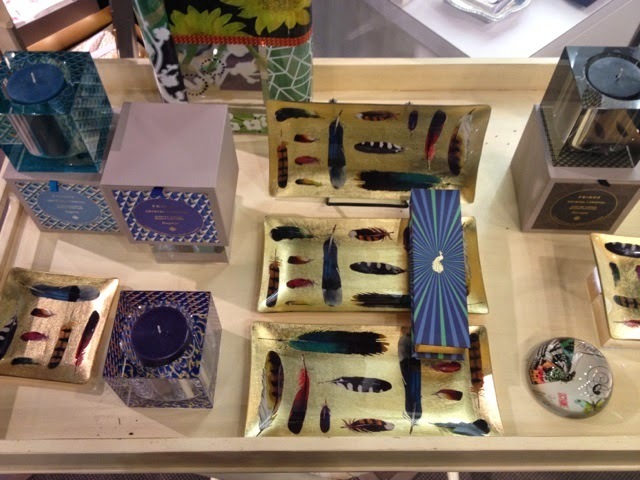 Here are some of the decoupage trinkets for the home the she liked. These trinkets are from a line called FRINGE STUDIO. They develop original artwork and designs to create a collection of vases, glass trays, frames, candles, soaps, jewelry, purse accessories, stationery and tabletop. This line is super popular, so come check them out before it’s sold out! And of course we had to send Lindsay home with a Trapp Private Gardens votive candle sampler and No. 60 Jasmine Gardenia candle. She says, and I quote, that Trapp Private Gardens are “the absolute best candles”! Come by and pick out your favorite candle today! Last but not least, she took home with her a super cute Wagbag. Wagbags are available in store and come in a variety of sizes and styles. 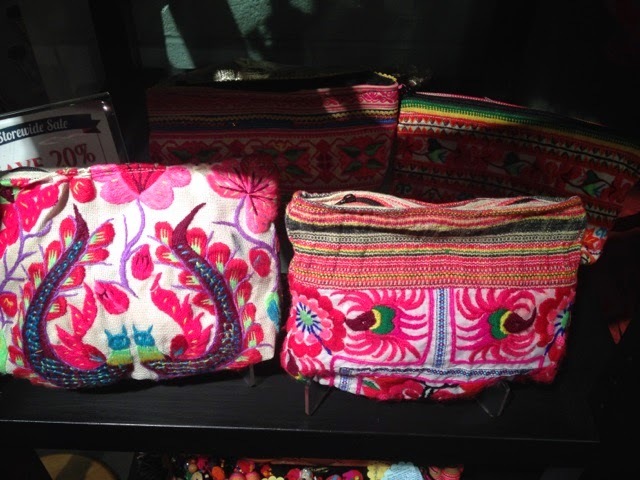 These colorful bags are handcrafted and designed for the individual who wants to make a statement. These bags are uniquely different because they are produced by intricate needlework, patchwork and embroidery art forms. A big thank you to Lindsay for shopping local and visiting us! 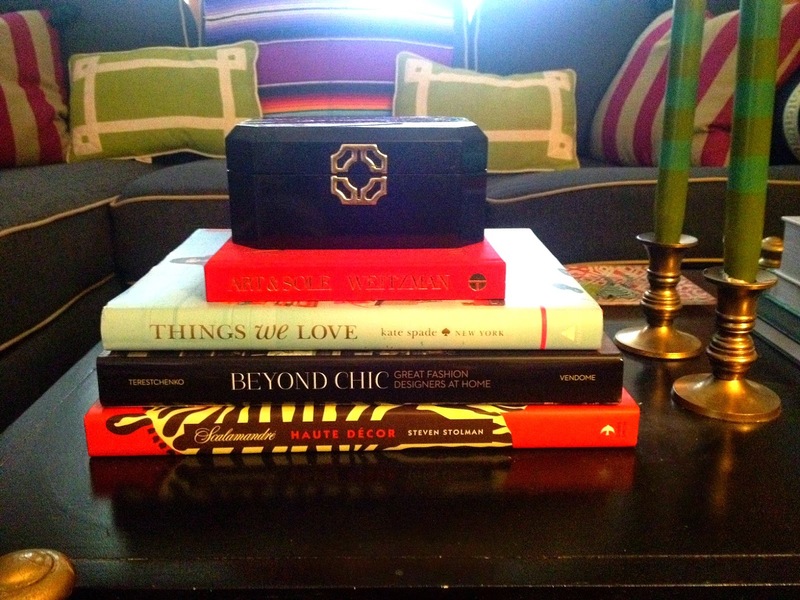 We enjoyed having you and sharing your favorite finds! 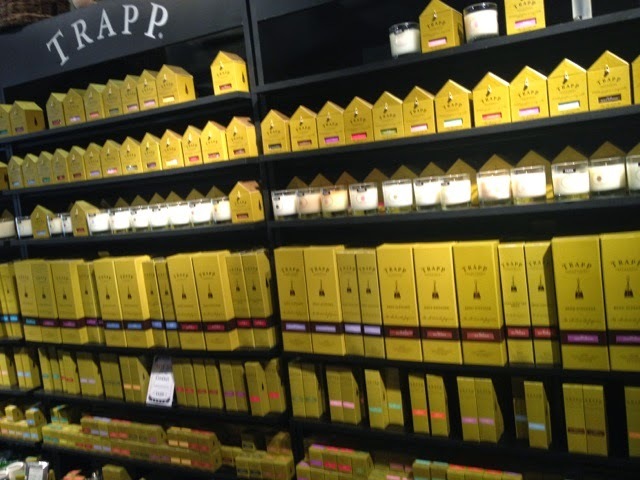 To read the full review of Lindsay’s shopping trip to Trapp and Company head over to her blog, Sadie+Stella. P.S. Use promo code SadieandStella for 20% off of your entire order through the month of August!